Only 50 meters from the False Bay breakers, this holiday home rises from behind the dense dune vegetation, on one of South Africa's rare north facing beachfront sites. breathtaking views meet the eye; from the bay to the river mouth and the mountain range which dramatically bleed into the sea. This stretch of coastline is notorious for high winds and rough seas, suggesting a simple robust cave-like structure with openings strategically placed for optimal views and sunlight. The building mass turns its shoulder to the wind, creating a protected area to the north, facing the sea, from where a sundeck floats lightly between three over-scaled galvanised steel columns & beam legs and functions as the main outdoor living space and link to the beach. 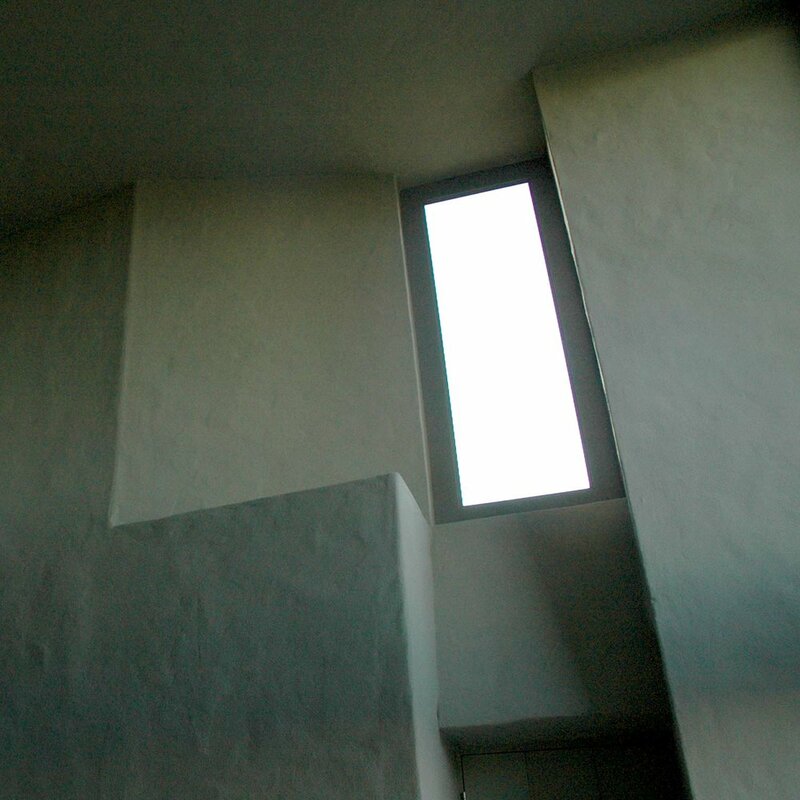 The living core, with the main suite on top, opens up towards the sea with an enormous picture window demanding your attention. 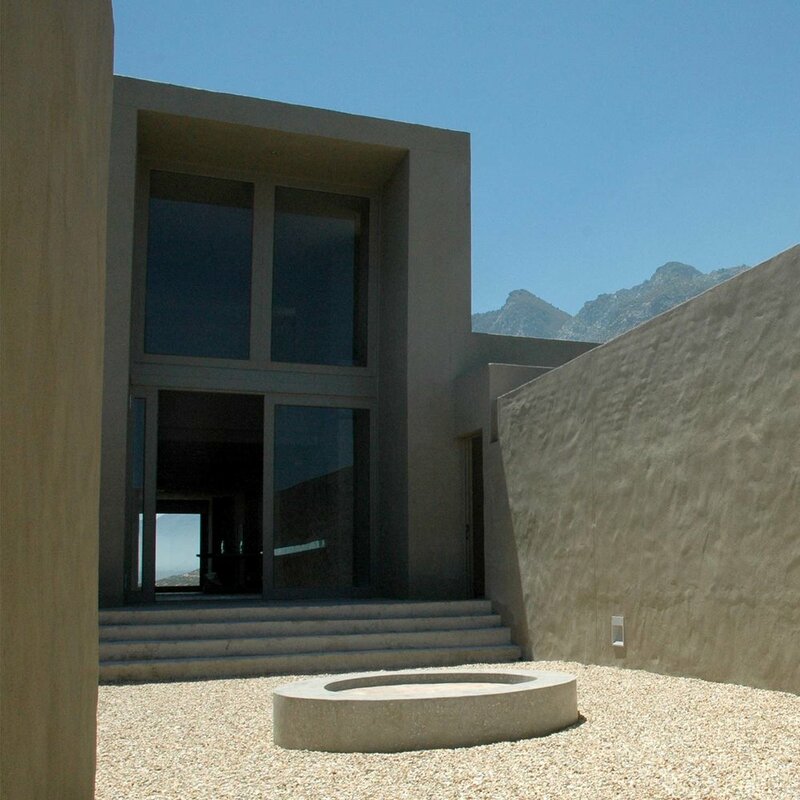 At the opposite end a double volume dining area and door opens the space to reveal the leaning Hangklip Mountain behind. The client, an avid underwater photographer, required generous amounts of wall space to display images taken from his journeys around the world. 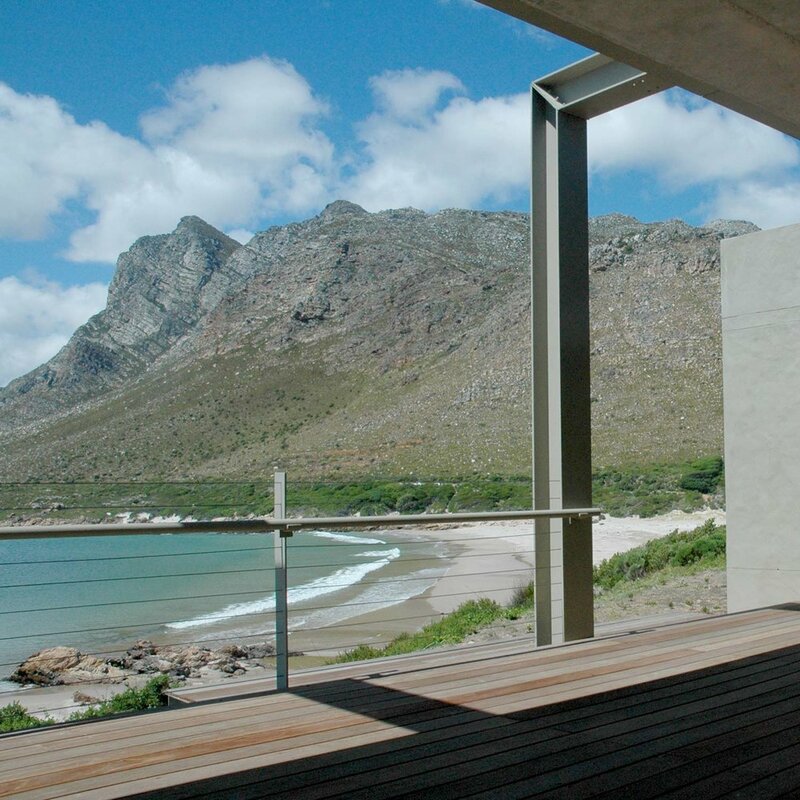 With the rough textured walls acknowledging the rugged Hangklip Mountain behind, a muted colour palette blending in with the natural surrounding and the galvanised steel & concrete elements adding a rich texture layer, the house is truly an honest, functional structure and a very special place by the sea.